Welcome to another installment of Voices of Loreto! 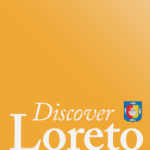 Thanks to Eve for taking the time to contribute to this column about life in Loreto. Don’t miss Eve’s debut here. Saludos, Clint. Two of the most remarkable migrations on this planet bring wonders and magic to the waters and skies of Baja California. Creatures large and small—from gray whales to hummingbirds—travel hundreds, even thousands of miles to follow the innate wisdom of those that came before. Driven by their DNA and the culture of their species, gray whales complete a monumental migration of 10,000 miles roundtrip from their feeding grounds in Alaska to their birthing lagoons of Baja California. Hummingbirds follow the same fly zone every year, which for some means flying up to 450 uninterrupted miles over bodies of water to reach their winter homes. There is another phenomenon of migratory North Americans of the human kind who have chosen to follow their own concept of migration. Commonly known as ‘snowbirds’, they move rhythmically with the seasons. In earlier times, agricultural cycles determined the patterns of human migration. These days it’s the warmth and affinity to sea and air creatures that tug them south each year. The lives of all these migratory species intersect each spring in Baja, for a hot minute on the evolutionary timeline when our hearts meet for a flicker of a moment. How is it that hummingbird hearts, whale hearts, and human hearts all come together in the same season? With an inter-species curiosity, gray whale mothers allow humans to participate in socializing their calves. In the saline waters of the lagoons, the slow and graceful behemoths move through the water like enormous slugs, while nursing and teaching their young. While the calves are still nursing, at two months of age and weighing over 2,000 pounds, they are encouraged by their mothers to interact with colorful humans on small fishing boats. The mamas shepherd their calves to the surface to be petted and scratched. Playfully, they bump the boats, returning again and again for attention, gazing at us with their giant eyes. Antonym to the whale, with rapid heartbeat and quivering wings, the tempo of a hummingbird’s staccato movements pace with the blink of an eye. They zip and flit, dart and dash, punctuating the sky with the brilliant shimmer of their iridescent wings. A hummingbird’s brain, 4% of its body weight, is the largest in proportion to its body in the entire bird realm. A hummingbird’s heart, 2% of its total weight, in proportion to its body is the largest heart in the animal kingdom. 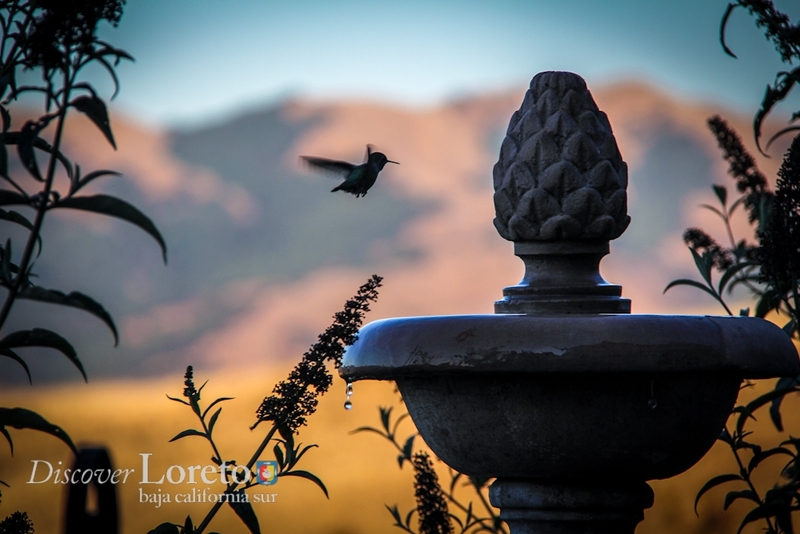 When they are ready to nest, hummingbirds build at human eye level, inviting us to view the unfolding miracle. With spider silk and tufted matter, they fashion an expandable nest the size of a small cup. They lay two eggs the size of jellybeans, slowing their metabolism to a standstill so they can sit for several weeks on their developing eggs. Imagine, even at rest, the hummingbird’s heart flutters at 250 beats per minute. The meeting of these species propels curiosity of great proportion. What do the whales know with their highly evolved brains? What do they feel with their enormous hearts? Will they remember our encounter in the same way that a hummingbird remembers every flower whose nectar it has tasted? Will the hummingbirds return next year to the same tree and build anew for next year’s progeny? From whale flukes to hummingbird wings, their might of survival is far beyond the scope of humans. Legends have assigned great powers to both species: to hummingbirds as messengers between worlds, and whales as the holders of departed noble souls. It is up to us, then, to revere and respect their spirit and majesty. Eve followed the gray whale migration to Baja and never looked back. 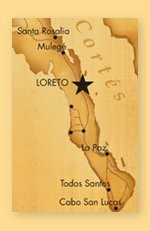 She now lives primarily in Loreto on the Sea of Cortez, whose magic stirs her imagination and inspires her creative life.